In The Game Of Life ... Play The Cards You're Dealt. Set against the backdrop of New York's high-stakes underground poker world, Rounders is the tale of Mike McDermott (Matt Damon), a master card player who trades the poker-playing rounds for law school and a shot at a new life with his girlfriend Jo (Gretchen Mol). For Mike, the new life he's staking out seems like a legitimate road to success, but it's short on the thrills and excitement of back room poker games. But when Mike's longtime friend Worm (Edward Norton) is released from prison, Mike is faced with the high-stakes dilemma of his life: to keep on the straight and narrow, or deal himself back into the world of the Rounders. $8.459 million on 2176 screens. In recent years, professional poker has received a lot of attention and gained an audience on cable TV broadcasts. For a look at a lower level of the game, we go to 1998’s Rounders, a drama about guys who try to scrape together a living via their poker skills. We meet Mike McDermott (Matt Damon) as he uses poker to pay his way through law school in underground high stakes games. Among others, he plays in contests run by Russian mobster Teddy KGB (John Malkovich) along with Joey Knish (John Turturro), a longtime “rounder” and semi-friend. Mike’s been a small-timer but now wants to move up and eventually head to Vegas. Unfortunately for him, Mike blows his whole wad on one big hand and loses. The flick then jumps ahead nine months and we see that the fairly destitute Mike got stuck driving a truck to earn his way through school. He lives with girlfriend Jo (Gretchen Mol) and declares himself retired from poker, largely at her urging. However, his past haunts him when he picks up lifelong friend “Worm” Murphy (Edward Norton) when the latter gets out of jail. He’s an unrepentant scammer who pushes Mike to get back into poker. Worm still owes big bucks and wants Mike’s help to get the money to repay these debts. Mike resists this but eventually he goes to play. They work well together but Mike continues to resist Worm’s badgering; he agrees to this as a one-shot but doesn’t want to resume his old days. However, Worm’s irresponsible behavior starts to get him in trouble, so Mike gets more involved to save Worm’s bacon. 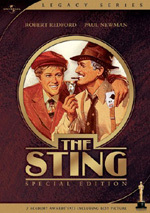 This gradually leads Mike back into the game, especially when Worm finds himself badly in debt to low-life Grama (Michael Rispoli), who connects his debts to the nasty Teddy KGB. We watch as these events unfold and see their impact on Mike’s life. Very much of a guy-oriented movie, Rounders concentrates on loyalty and following what you need despite the outside influences. It’s really a male bonding story, as the Mike/Worm relationship is the key. The Jo elements feel tacked on and generic. She never gets to expand as a character beyond a bland level of nag, and she comes across as little more than a plot complication. Frankly, Rounders doesn’t present a particularly deep or rich story. 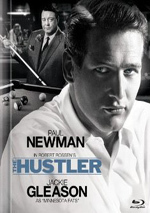 It tells a tale that we’ve seen before, with elements that mix The Hustler and Rocky with buddy film bits as well. The latter take the most prominent role, though Rounders incorporates enough poker action to add some spark. The cast certainly benefits the flick. It presents an unusually solid group of actors, all of whom acquit themselves well. Malkovich tends toward hamminess in his broad turn as Teddy, but this works fine in the part since it gives him a flamboyant tone that allows the character to seem even more menacing. He’s not the most realistic personality, but he’s memorable. Damon nicely grounds the piece as Mike. He creates a sympathetic character who remains believable. Norton adds caddish charm as Worm. While we want to slap around Mike and tell him to leave his childhood albatross behind, Norton demonstrates enough life to ensure that we understand why Mike remains loyal. I wouldn’t call Rounders a great flick, as it follows a pretty predictable path. It tosses out a few curveballs but doesn’t present too many surprises. Still, it comes across as entertaining and consistently interesting. 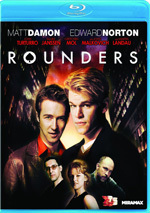 Rounders appears in an aspect ratio of approximately 2.35:1 on this Blu-ray Disc. Though not stunning, this was an appealing image. For the most part, sharpness looked good. A little softness crept into the image at times, but not frequently. Instead, the movie almost always appeared nicely detailed and distinctive. No issues with jagged edges or shimmering occurred, and edge haloes remained absent. Source flaws were a non-factor, as this was a clean presentation. Colors usually were subdued but accurate. The movie went with a yellow “sodium vapor” look much of the time and came with a lot of quiet interiors. The tones consistently seemed accurate and concise. Blacks were deep and firm, while low-light shots came across as appropriately dense but not overly dark. Overall, the image seemed solid. As for the DTS-HD MA 5.1 soundtrack of Rounders, it worked fine but never taxed my system. That was fine given the quiet parameters of the film’s action. The soundfield spent most of its time in the forward speakers. The surrounds kicked in with some minor ambience and seemed most active during scenes at casinos. Otherwise, I heard decent stereo imaging for the music in the front, and I also detected adequate environmental material there. The scope always remained modest, though. Audio quality appeared fine overall. Speech occasionally demonstrated a little edginess, but the lines usually came across as natural and distinctive. Music was consistently bright and rich, with clean highs and firm lows. Effects didn’t play a huge role, but they sounded clear and accurate, with reasonable definition. There wasn’t enough to this mix to merit a grade above a “B-“, but the audio was fine for this sort of movie. How did the picture and sound of this Blu-Ray compare with those of the Collector’s Edition DVD from 2004? Audio was pretty similar between the two, as the gentle lossless track didn’t do much to exceed the original. However, visuals were a nice step up, as the Blu-ray was cleaner, tighter and more vivid than the DVD. Almost all of the DVD’s extras repeat here. We find two separate audio commentaries. The first comes from director John Dahl, screenwriters David Levien and Brian Koppelman, and actor Edward Norton, all of whom sit together for their running, screen-specific discussion. Though it drags at times, the commentary usually comes across as lively and winning. We learn of the project’s roots and development, rewrites and improvisation, casting and character notes, influences and stylistic choices, and a mix of general notes. We also learn a little of the guys’ personal poker experiences. The four men interact nicely and no one participant dominates, though Norton does come across as the “top dog” in a way. Too much dead air pops up, but the track enjoys good energy via the good-natured barbs the guys toss around and it presents a generally positive recap of their experiences with the movie. In the second commentary, we hear from professional poker players Johnny Chan, Chris Hellmuth, Chris Moneymaker, and Chris “Jesus” Ferguson. All four sit together for their running, screen-specific track. They remark upon the reality of the poker situations in the film as they go into what makes sense and what doesn’t. This means they also reflect on their own patterns and the decisions they would make in various circumstances. They also go into their own experiences in other ways and their reactions to the characters’ decisions. A fair amount of lingo shows up along the way, which occasionally makes the discussion tough for the layman to understand; the players periodically explain the terms but not frequently enough. Far too much dead air mars the piece as well. Large chunks of movie pass without information, and given the poker experiences of these guys, I can’t imagine that they couldn’t come up with something to talk about during those lulls. Still, this is a fun concept for a commentary, even if it suffers from erratic execution. Next we find a five-minute and 18-second Behind-the-Scenes Special. It presents some movie snippets, a few shots from the set, and notes from Levien, Koppelman, Dahl, Norton, John Malkovich, Matt Damon, Famke Janssen and producer Joel Stillerman. They discuss the inspirations for the film and its locales, poker training for the actors, the flick’s poker realism, the atmosphere on the set and the gambling metaphor. Though short, the special suffers from less of the overt promotional element than usual. It packs some decent information into its brief running time and deserves a viewing. In the five-minute and 38-second Professional Poker we take a glance at that world. It includes remarks from Damon, Norton, Ferguson, Hellmuth, Moneymaker, Chan, Dahl, professional gambler Bob Stupak, 1976 and 1977 World Series of Poker champion Doyle Brunson, and gaming author/professional gambler David Sklansky. They offer some fairly generic comments about the subject but don’t explore it in any depth. Really, we’ve already heard most of this information elsewhere on the DVD, so this featurette seems largely superfluous. For more remarks from the four professional players heard in the commentary, we go to Champion Poker Tips. This includes short soundbites from Chan, Ferguson, Hellmuth and Moneymaker. A total of 24 of these appear, and they all last from about five seconds to around 30 seconds. This doesn’t leave much time for insight, so the information tends to be brief and fairly superficial. A few intriguing concepts emerge, but most of them seem pretty obvious. The absence of a “Play All” feature also makes this section a chore to navigate. The disc opens with ads for Good Will Hunting, Swingers, Everything Must Go, The Devil’s Double and Hostage. No trailer for Rounders appears here. A guy’s movie, Rounders doesn’t reinvent the wheel, but it presents a consistently intriguing piece. The movie boasts a solid cast and an interesting enough tale to keep the viewer with it. The Blu-ray delivers very good picture, acceptable audio and supplements highlighted by a couple of enjoyable commentaries. We find a generally positive movie presented well on Blu-ray.